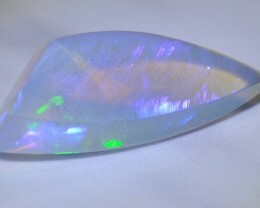 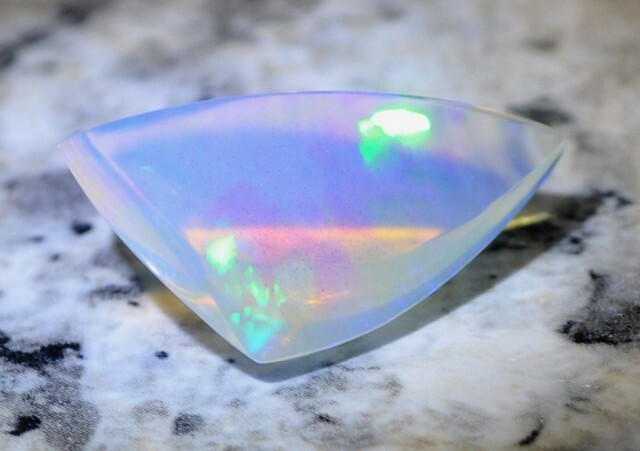 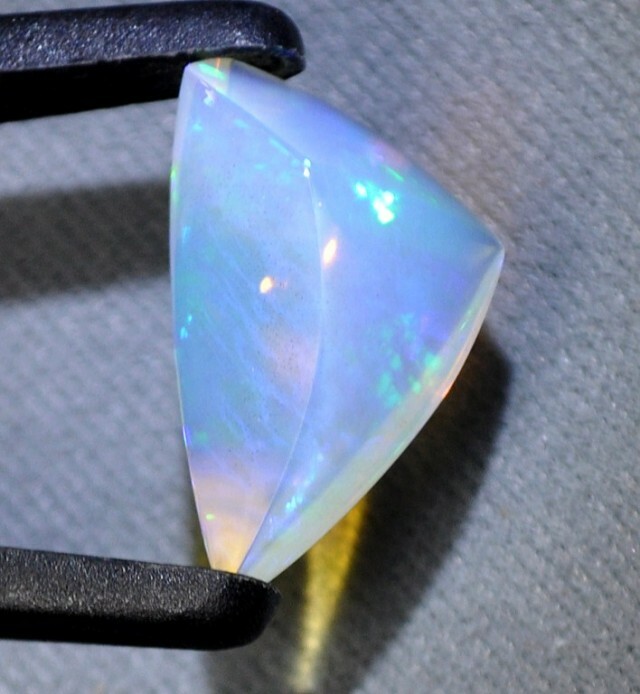 Why has recently discovered (2008) crystal opal from the Welo region of Ethiopia become so tremendously popular and sought after? 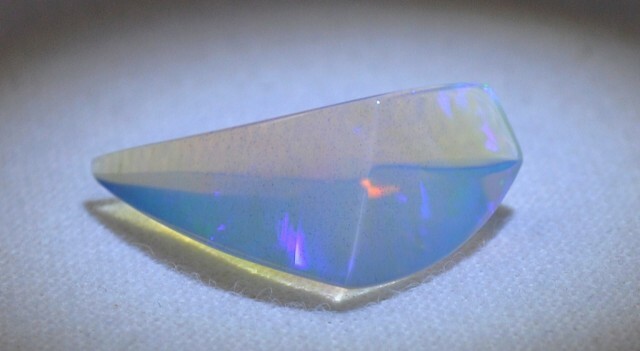 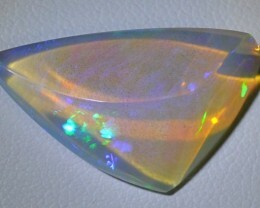 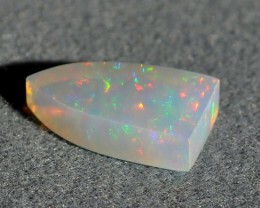 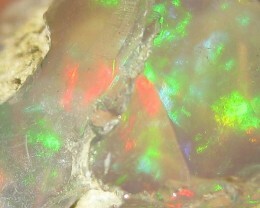 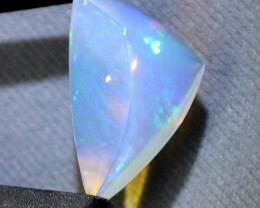 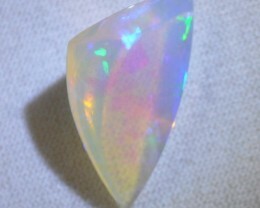 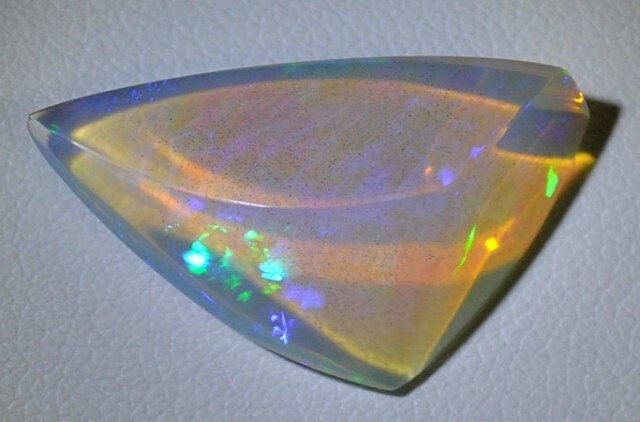 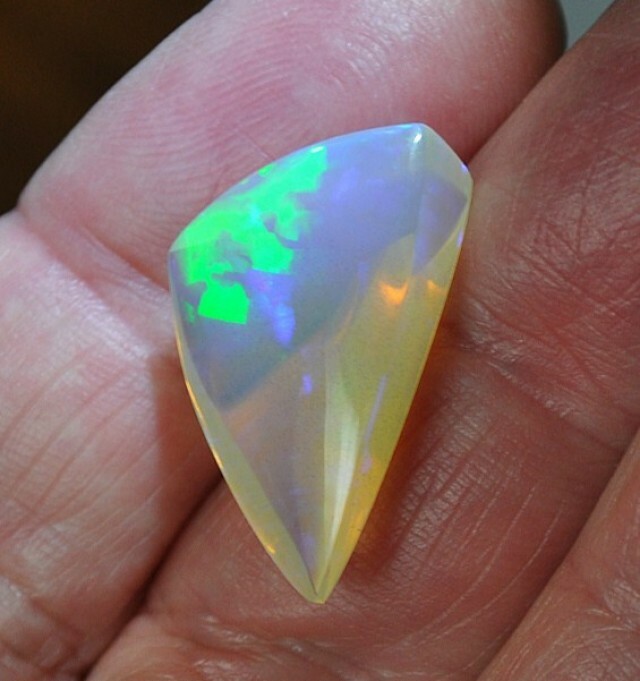 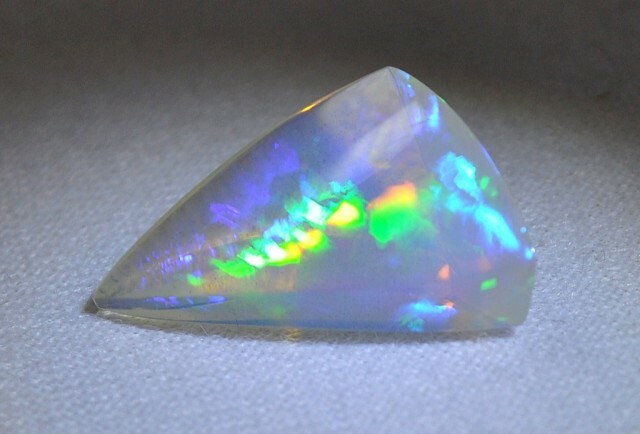 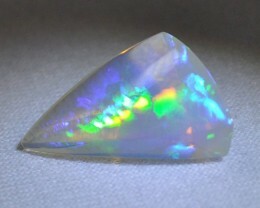 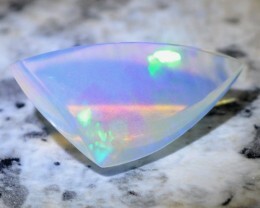 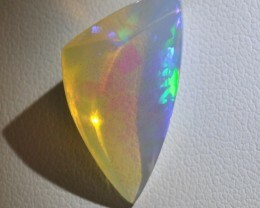 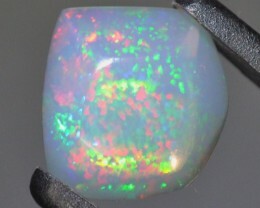 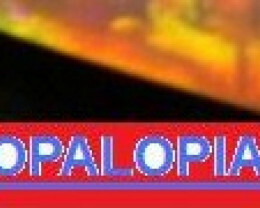 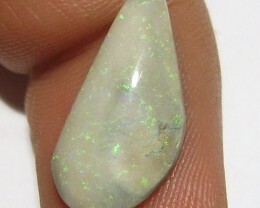 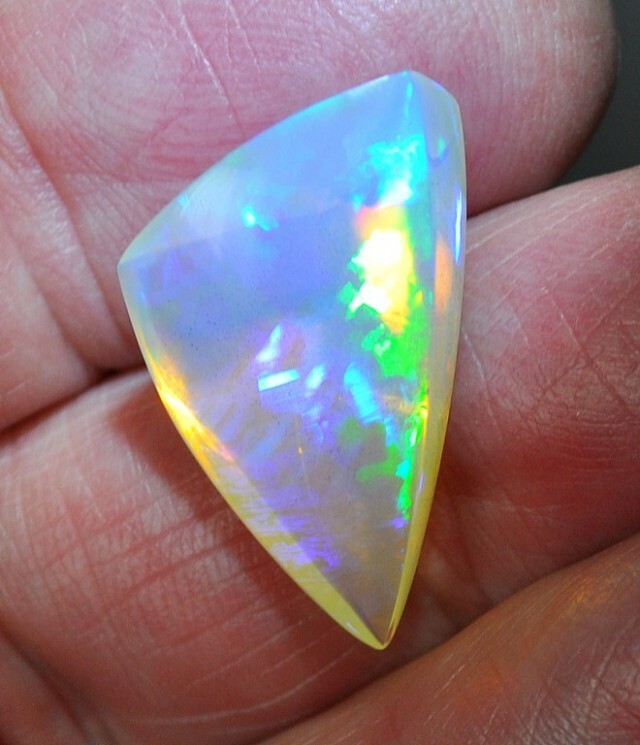 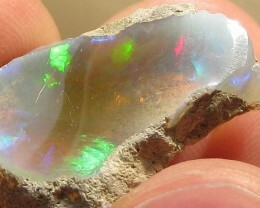 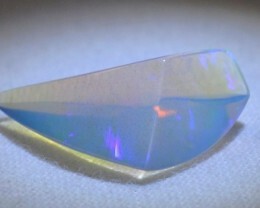 There are many reasons, and one of them is the nearly transparent character of the superb opal depicted. 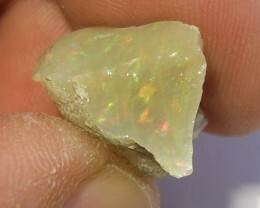 This large gem has a few flecks of mauve within its body but that is certainly not the end of it. 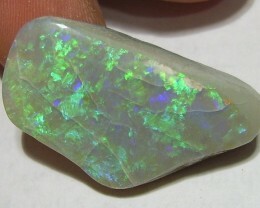 As this gem is moved slightly in the light, flashes of green, turquoise blue and subtle reds come to play across the surface of this lovely stone. 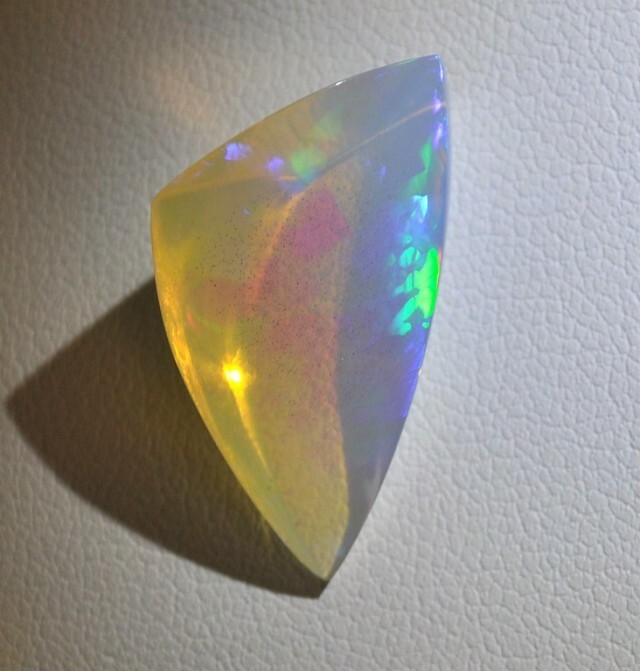 Placing this stone on differently color backgrounds increases the vividness of the light/color show that it produces. 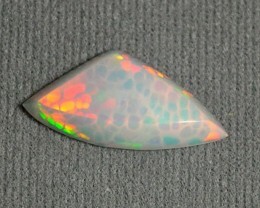 It really does have some of the visual characteristics of a chameleon, changing at will the colorful display it offers you. 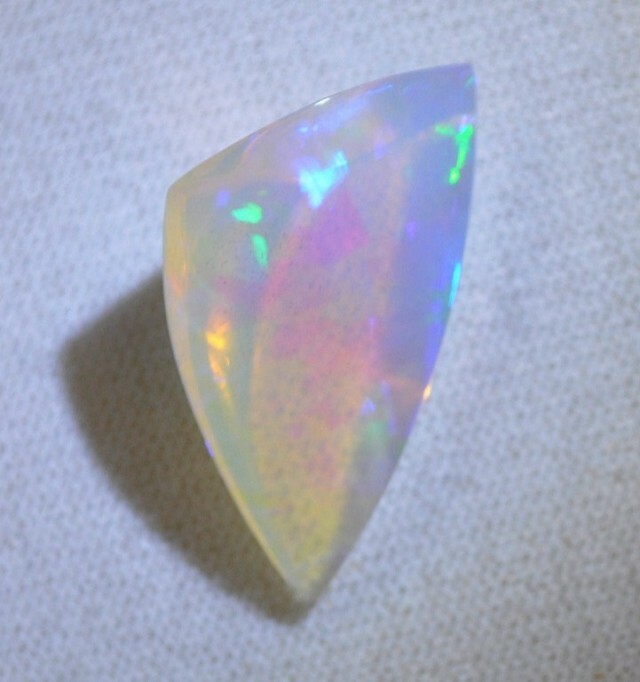 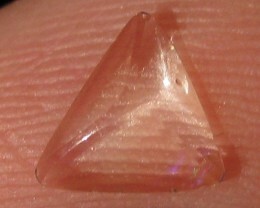 I can envision this stone as a pendant jewel with a golden cap and bail attached to the narrow end of this exciting stone. 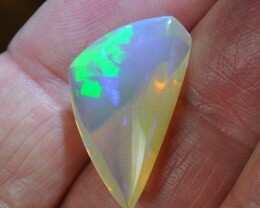 If you have looked around a bit you will be impressed by the very reasonably price attached to this stone. 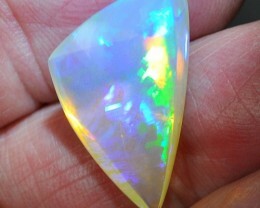 It is a very nice buy! 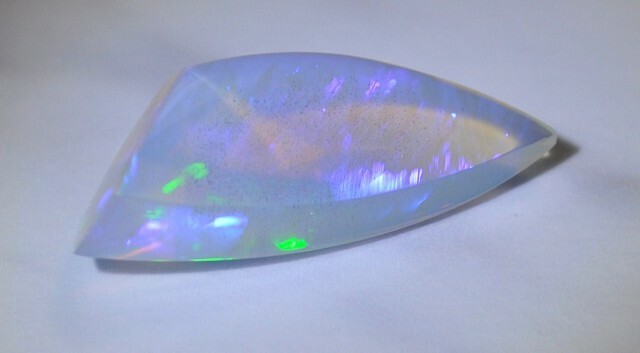 HERE ARE A FEW AUCTION NUMBERS OF GAIL CLARK’S MASTERCUT OPAL GEMS THAT HAVE BEEN SOLD AND POSITIVE FEEDBACK RECEIVED, 326471, 383058,481118, 383054, 350492, 326932, 344936, 344918, 369650, 383057, 344928, 337132, 375200, 326321, 332640, 337130, 361182,413576,369972, SO BID & BUY WITH CONFIDENCE.